The Polymer Science Department has a new (Pro L1200UNL Laser WUXGA 3LCD) Epson Projector as the main projector for A110/111 combined seminar room. This projector has brighter, higher resolution display. 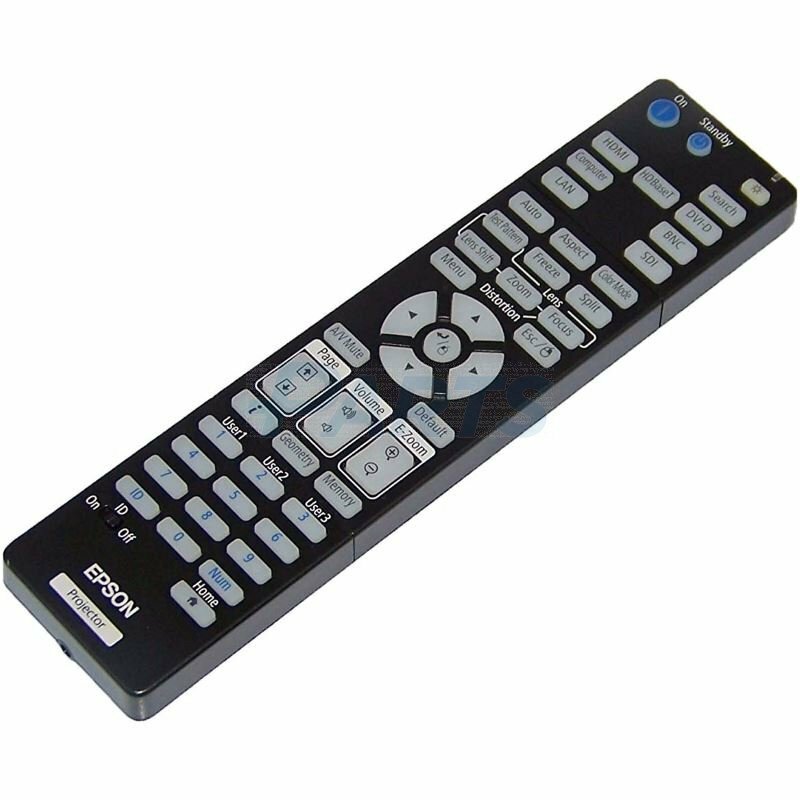 The only buttons that should be used on the Epson remote control are On, Standby and HDMI. When you plug in either an HDMI or a VGA extension depending on the input you want, a light lights up right on the jack indicating a successful connection. VGA will work if necessary - but HDMI is always preferable. PSE also has four Mitsubishi FD730U projectors for the use of the PSE community. Video inputs to the projectors are located on the front wall, behind the projection screen. VGA and HDMI cables (as well as a limited selection of adapters) are provided for your convenience, but for the best possible signal we suggest you always use the HDMI input. If your computer does not support digital video out, we provide a VGA => HDMI converter. It comes with a short VGA cable that you plug into your computer, a converter box that requires AC power and an HDMI cable that you plug into the HDMI wall outlet.